Current and past members came together with families and supporters to honour the achievements of the 2017/18 season at the Annual Dinner, held in conjunction with Old Collegians. UCD entered Dublin Head with a full complement of four 8s, the biggest outing in recent memory for the Boat Club. 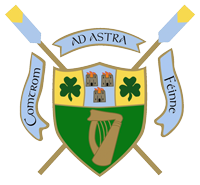 With Blessington still out of action early this season, nearly 30 UCD oarsmen headed west to Limerick and took part at Castleconnell Head.